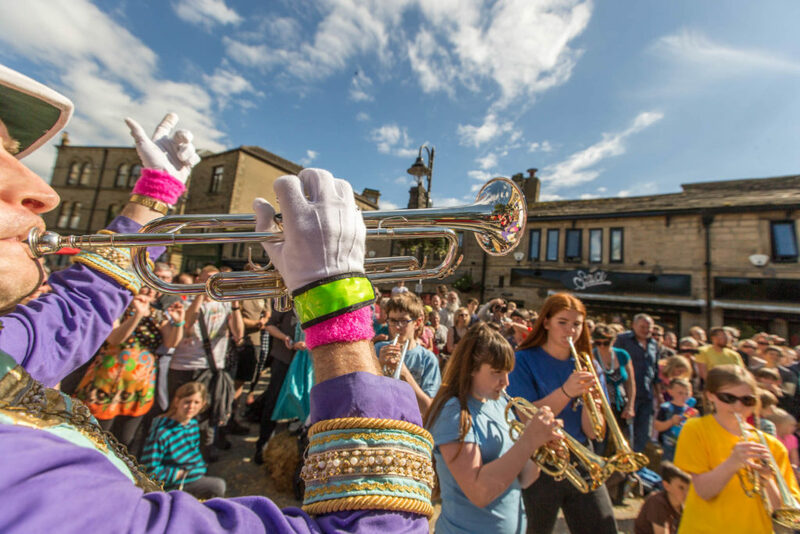 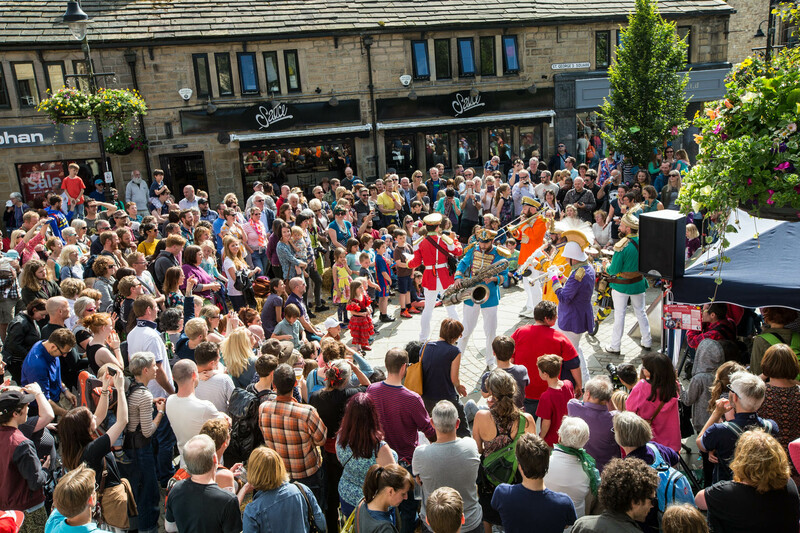 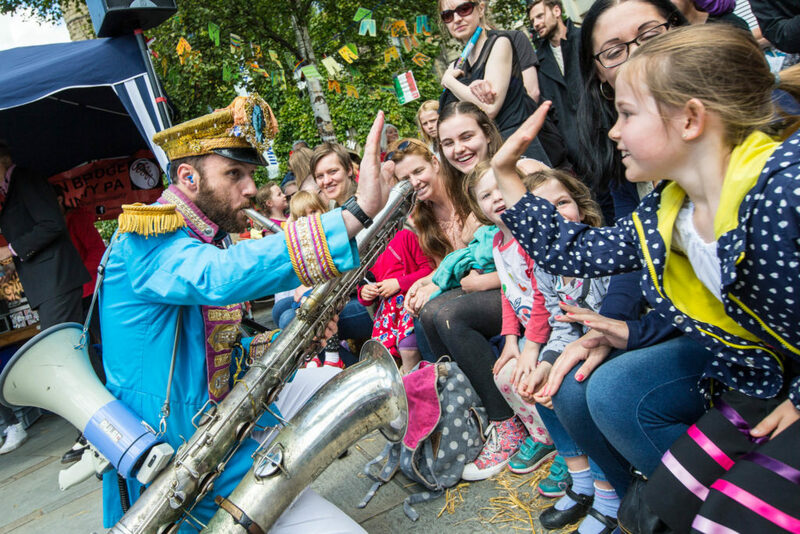 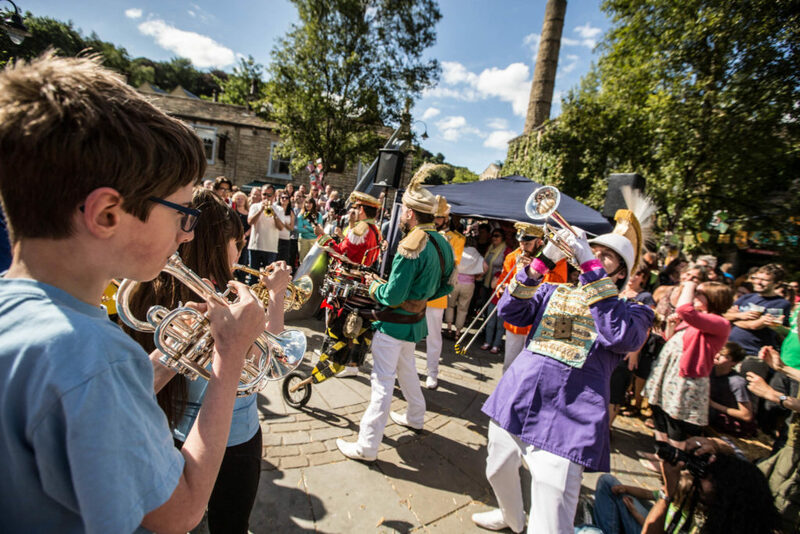 In 2016, Will Lenton worked with Suzanne Peers (Head of Music and Specialist Leader in Cultural Learning at Calder High School), and Calder Valley Brass Band leader, Simon Barnes, to prepare a surprise street flash-mob for the Hebden Bridge Arts Festival. 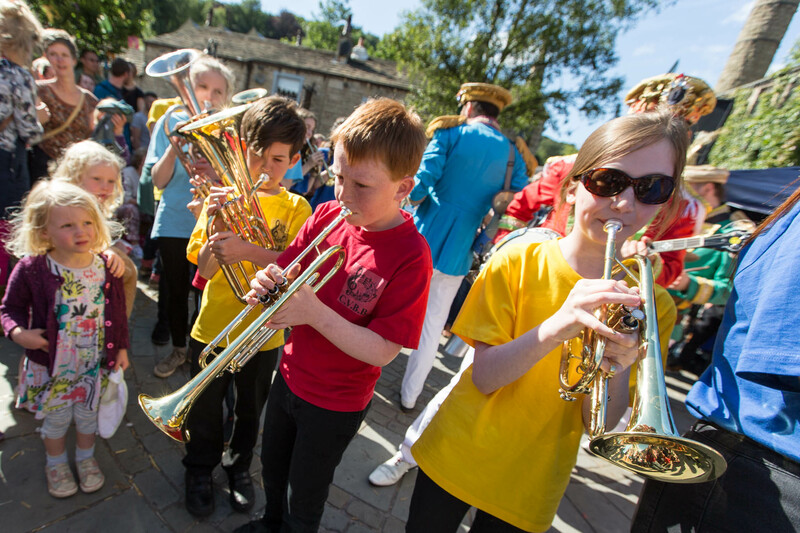 During the Street Sundae programme finale, Mr. Wilson’s Second Liners were joined by almost 40 young brass players, all wearing coloured t-shirts, corresponding to the jackets of the player leading their section. The students worked really hard to learn 90s classics and created an authentic street rave – despite being twenty-first century kids! 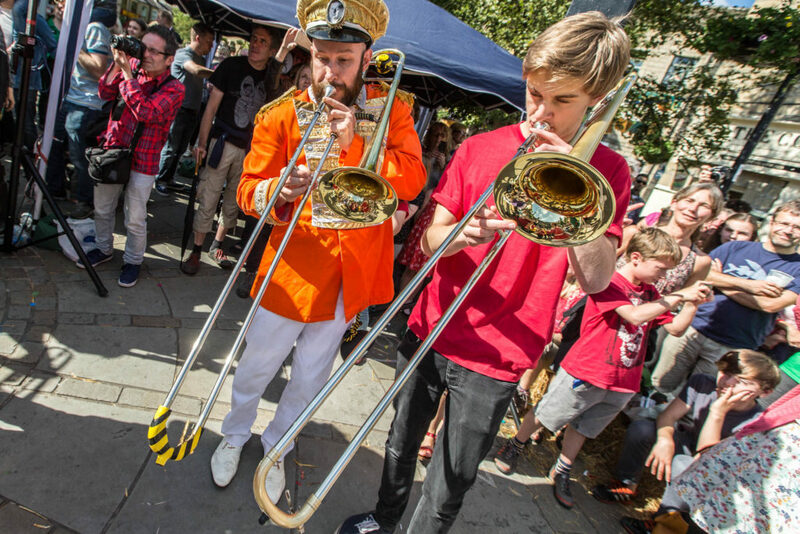 It was a wonderfully joyous occasion, celebrating talented local musicians at the beginning of their performance careers. Freelance producer and project manager, Billie Klinger, produced the event and both bands hope to repeat the experience at the 2017 festival.